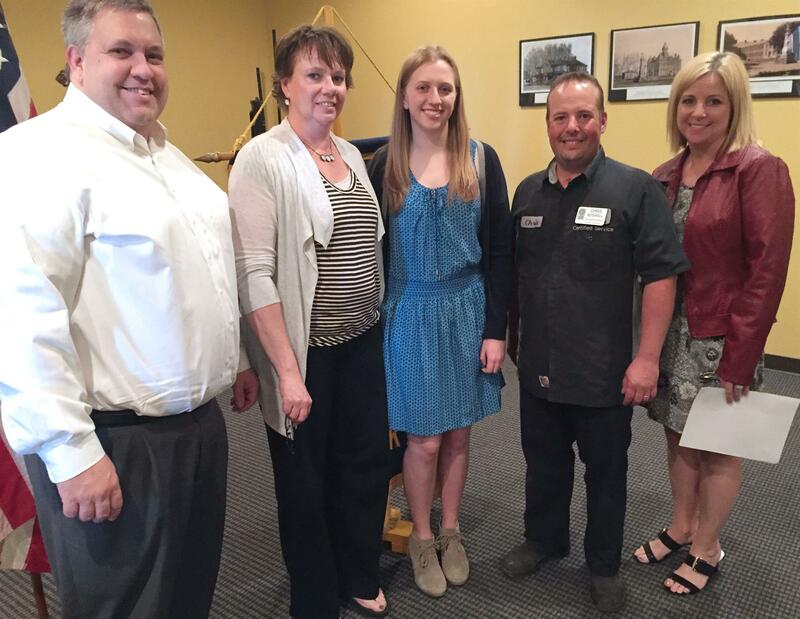 Madeline Kraft is Blair Rotary's Student of the Month and the recipient of a $500 scholarship. Among her activities: Christ Lutheran Church, AP mentor, nanny, tutor, Student Senate, softball, band and she was a top 10 Spanish student. Madeline plans to attend Wayne State College to become a middle school math teacher. Pictured from left: Mike Kraft, father; Cari Kraft, mother; Madeline Kraft; Chris Boswell, Rotary president; and Amy Hansen, Rotary scholarship chairperson.